Bob Dylan’s title to his 1964 album is still right on the mark in regard to today’s book marketing arena. In fact, we might say the times are still a-changin,’ since we’ve seen lots of changes already and there are many more to come. The major change that's unfolded has been a turn toward online marketing, specifically content marketing, as being an absolute essential part of any marketing strategy. Offline strategies that worked yesterday don’t quite cut it today or we might say they’re not as effective. Let’s take a look at a few. This is not to say these strategies can’t bring some visibility and value, but they are certainly not as powerful as they once were. Taking the marketing lead are savvier, reader friendly, personalized, and search engine optimized strategies. Let’s look at a few of those. If you look closely, what do you notice? What are some of the main elements of the newer more effective strategies? The very first element is the cost – there really isn’t any. While you may incur some expenses, they are usually reasonable and affordable. And, much of what needs to be done can be done for free. You can also improve your skills free of charge. Take free courses in your niche. Attend free online conferences. Watch free webinars or videos. Do what it takes to help you hone your craft or build your marketing skills. Having low or no-cost strategies within reach is great for indie authors and those with small publishers. The second element is having an online presence or author online platform and generating ongoing visibility. The foundation of that platform and visibility is a website. You CANNOT have an effective online presence without a website. Other elements of a platform include content marketing, social networking, and email marketing. The fourth element is connecting, being sociable, and personalization. This means social media marketing. Moving forward, having a relationship with people, especially your readers, will probably be the most important element in effective book marketing. 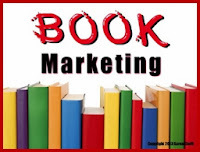 There is of course more involved in creating and maintaining a successful book marketing strategy, but these four elements are in the forefront of what you should be doing. What strategies will you be using in 2014? Great reminder, Karen. Sometimes I slip into this fantasy world where i don't feel obligated to keep blogging or studying how to have an online presence. i tell myself I'm just going to write books and leave the rest to fate. Thanks for bringing me back to reality. Marlene, I think we all go through that now and then. 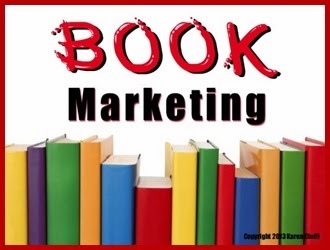 Book marketing and marketing in general can be very time consuming and a bit overwhelming. We need to make sure we use some kind of time management system so we're able to include all the things we need to do. I'm writing a series on this topic right now. You put a little different angle on it, and made me think a little. Thanks! I'm so glad the post provided food for thought! Thanks for stopping by!